Are you facing challenges in your life? Do you have things that seemingly never go away and you want them to change? Is there something you have been praying about but it only seems to get worse? Well, my friend, I have good news for you! You do not have to feel powerless to the circumstances of life any longer. There is an answer to your dilemma and it is found in the Word of the Living God. In the Word, there is an answer to each and every problem in life—no seriously, it’s there! You may be saying, ‘yes Sebastian, I know’. Although, you may have heard it all before just hear me out. You see, we cannot afford to continue giving mental assent to these things. We must make a commitment to hide the Word in our hearts and let it change us from the inside out. When we spend time in the Word and take it as life for us, we build a resistance to the things that come to wear us down, discourage us, make us ineffective and ultimately destroy us. Jesus told us in John 10:10, “The thief comes only in order to steal and kill and destroy. I came that they may have and enjoy life, and have it in abundance (to the full, till it overflows)” (Amplified). Do not let the thief be successful in your life, take God at His Word and hold on to it for dear life…because it is life! Wow. This blog must be the reason for the delay in reading posts…nearly a month later. I needed to hear these messages today of all days, for despair had begun to set in. I pray your strength and encouragement! Great Truth in your message and the Scripture you shared Sebastian….. 22. They will give life and health to anyone who understands them…. How do we understand God’s inspired word, through Jesus The Living Word, as we are empowered by the Holy Spirit, who teaches us what He hears. Isaiah 55:3 Incline your ear and come unto me: hear and your soul shall live. Now we have received, not the spirit of the world, but the Spirit which is of God; that we might know the things that are freely given to us of God. Which things also we speak, not in the words which man’s wisdom teacheth but which the Holy Ghost teacheth, comparing spiritual things with Spiritual. But the natural man receiveth not the things of the Spirit of God: for they are foolishness unto him: neither can he know them, because they are Spiritually discerned. But he that is Spiritual judgeth all things, yet he himself is judged of no man. For who hath known the Mind of the Lord, that he may instruct Him? but we have the Mind of Christ. KJV. Thank you for serveing the Lord! Great post Brother have a blessed day….. Yes! lately God has shown me this! wonderful! He is speaking to His Body! Blessings! Thank you again for your kindness in reblogging this post…I’m so very appreciative of you!Blessings! Ever so true, Pastor. 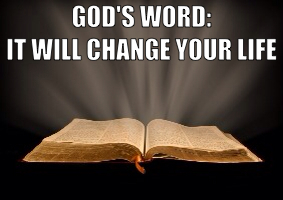 Digging into the word is the key to changing the mindset…not just being a hearer but a doer! Overcoming ways of thinking that are contrary to the Word means applying the principles of truth from the Word to our daily lives. I have been blessed by these articles. God bless you and your family and the work you are doing in service of our Lord, Jesus. Amen. Thank you so much for your timely response to this post and you kind words of support and encouragement. May God’s Blessing be upon you and your household as well!